The exposure of asbestos have the chances of increasing the risk of asbestosis and other non-malignant lung or lung cancer and pleural disorders, including pleural plaques (membrane become thickened and to accumulate a chalky material in it). In fact, asbestos-containing material is not considered to be harmful unless it releases fibers into the air. Asbestos is most hazardous when it is in fibrous form. When these fibers inhaled or ingested can cause many asbestos-related diseases. Once they are trapped in the body especially in the lungs can cause breathing difficulties. And also there is no known method to remove asbestos fibers from the lungs. But some natural techniques will help to clear asbestos from lungs or it will automatically break down in the lungs. If asbestos is disturbed or damaged during renovations and when demolition of houses or buildings with asbestos materials, the fibers can be released into the air and be inhaled. These inhaled fibers increase the risk of developing malignant mesothelioma of lung, lung cancer, asbestosis, and other Breathing diseases. If your houses contain undamaged asbestos which will not cause or spread any kind of diseases. Take proper steps and consult an asbestos contractor with the certificate for proper guidance before renovating which will help you to protect yourself from asbestos-related diseases. The most important step that has to take before demolition is to remove the asbestos- containing materials from the building which is the only practical method to avoid harmful diseases due to asbestos exposure. It will be better to consult an asbestos removing contractor to remove asbestos safely before demolition. They can be able to carry out removing safely and carefully. If a duty contractor does not remove the asbestos prior to demolition, they must have to provide the reasons for why it was not practicable to remove the asbestos. A structure or plant is structurally unsound. The collapse of the structure or plant is imminent. 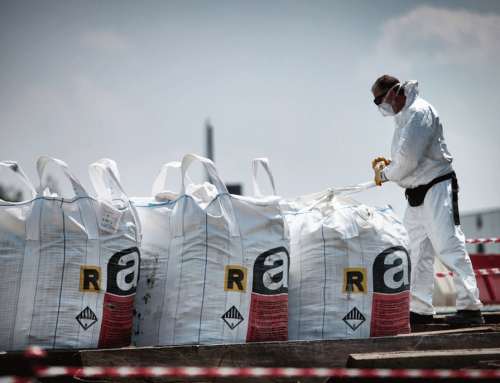 All asbestos removal must be carried out in accordance with the Work Health and Safety Regulation and may require an expert removalist who hold either an A or B class asbestos removal certified license. Soil scraping and excavation is required in the demolition area when the building being demolished contains asbestos substances. The removal of non-friable asbestos must be carried out by a person with a current A or B class asbestos removal license and the removal of friable asbestos which is loosely bound have to be carried out by a person with A class asbestos removal license. If a duty contractor who is not able to remove the asbestos before demolition when an emergency, then the duty contractor must find methods to minimise airborne asbestos fibers during the demolition. Stack & Wrap: Stack asbestos cement material carefully on plastic sheets, double wrap and tape and have to stick an awareness note on that carry bag, while you are still in the work area. No Skidding: When arranging the plastic sheets, do not skid one sheet over another, as this will release fibres into the air. Remove immediately: Do not leave these sheets lying for a long time in a public place, where they may be further broken or crushed by people or traffic. Remove all asbestos waste as soon as possible you can. Clean up everything: Make sure that no dust of asbestos leaves in the work area on shoes, clothing, tools etc. Put used disposable overalls and masks in bags for removal with other asbestos waste for better safety. Vacuum cleaners: Use only vacuum cleaners that are fitted with appropriate attachments to reduce the release of asbestos fibers and dust. Do not use household vacuum cleaners. Avoid dry sweeping which stirs up dust: Dampen dust with a “mist” of water from a spray pump pack. Final Approval: A consultant will inspect the work site and conduct air monitoring to confirm the remediation has been completed appropriately and that the building is safe for re-occupancy. Workers and supervisors in a work site must be appropriately trained and hold proper certification course which appropriate to the class of asbestos being removed. 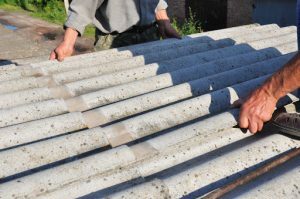 Training of worker those who encounter or disturb Asbestos-containing Materials is one of the key methods to a successful removal and handling of asbestos. If you do not give special importance to well-trained asbestos removal contractors and maintenance person, the asbestos removal tasks may not be performed properly. This could result in a high exposure of asbestos in air and an increased risk to building workers and occupants. Asbestos awareness and abatement training which will give you a brief knowledge about how to remove asbestos carefully and precautions are taken before handling with asbestos. By taking these courses you will get aware of asbestos and the hazards happen from it, so as you can prevent the diseases and can secure your future. Asbestos waste must be contained and labeled before it is removed from the asbestos removal area. 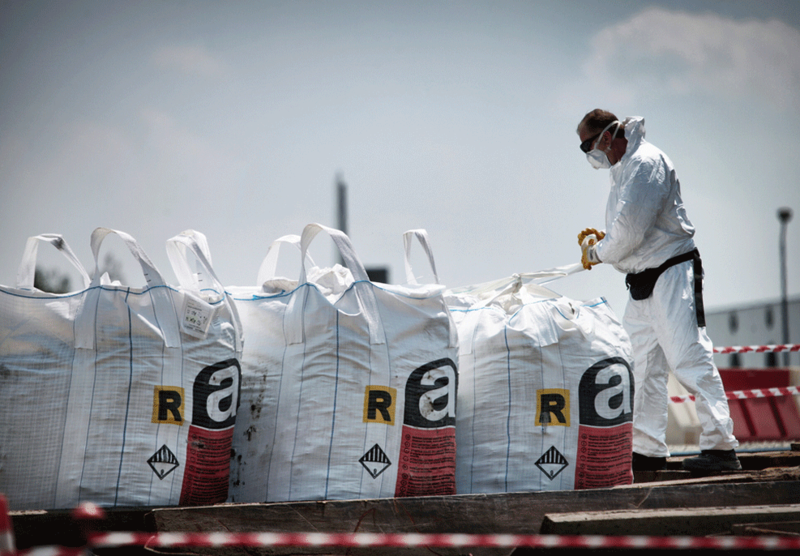 It must be disposed as soon as possible which is reasonably practicable at a site authorised to accept asbestos waste. Find out more about transport and disposal of asbestos waste and protect yourself from asbestos related diseases.